We have special offers just for you and your family. 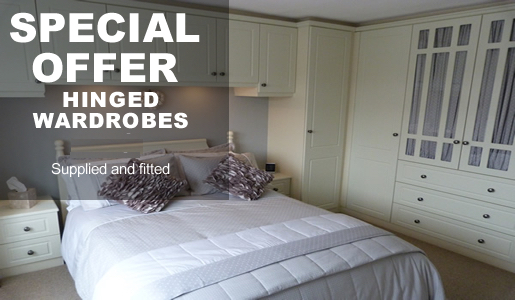 All special offers can of course be added to if you would like accessories and matching furniture. 2 door sliding wardrobes up to 2m wide, floor to ceiling including top shelves and clothes rails. All Supplied and fitted. Additional wardrobes and accessories can be added to this package. 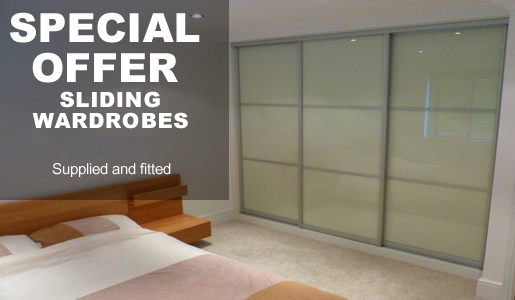 4 door hinged wardrobes upto 2m wide, floor to ceiling including top shelves and clothes rails. All supplied and fitted. Additional wardrobes and accessories can be added to this package.